If you want to give the best gifts you can this holiday season, it’s important to be thoughtful. This intentional gift guide will help you not only figure out gifts for your entire list, but honor your preferences and values while gifting! As we’re just a few short weeks from the holidays you may be struggling to figure out what to give your friends and family. This is especially true when you want to spread love and light. How do you know what is the most loving thing to gift someone? 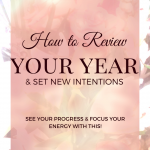 There are a few things I’m going to do this year, and I thought you may want in on my plan (and implement it for yourself!). I am not getting anyone junk. When I say “junk” I mean items that solve problems that don’t exist (courtesy of late capitalism!) or will break after one or two uses. I am not giving anyone anything that will not serve a purpose or enhance their life in some way. For example, I will not give someone a pair of pants when they have 15 pairs of perfectly good pants – that is a waste of resources and space. I will be careful about gifting things I’ve made. I enjoy making things for other people (from paintings to jewelry) however I know my art is not to everyone’s taste. Whenever I gift something I’ve made, I need to make sure I’m focusing on what honors the other person. I will spend time and consideration on what is the best item, experience, or service for the person involved. Someone who is beginning a business, for example, I may gift coaching services! I will give in a spirit of active love seeking the highest good for all involved! There are a lot of different possibilities for giving thoughtful gifts to others. It’s an opportunity to show your care, as well as your “wokeness.” And who doesn’t LOVE that? Below you’ll find a variety of options for every type of person on your list. 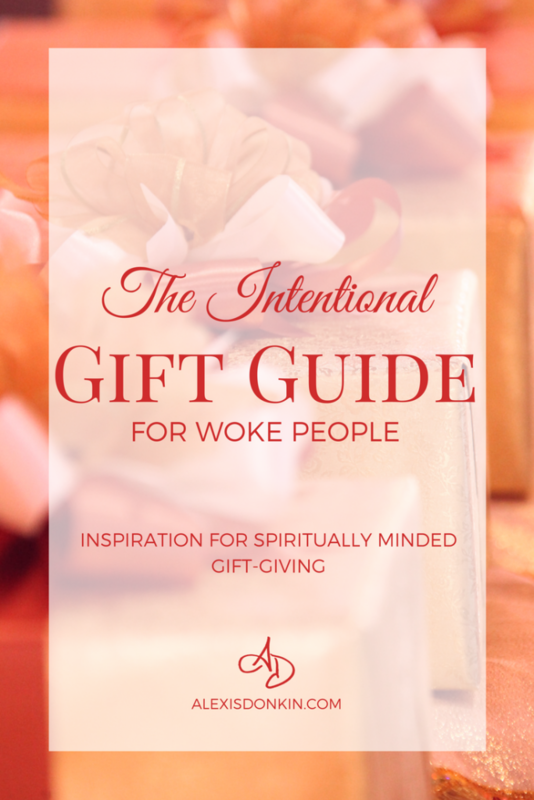 Because this is both an intentional and woke gift guide, these gifts tend to reflect a very personalized and small business bend. Many of these gifts ONLY work if you REALLY know the person (coaching services are NOT for everyone!). Note: This post includes Amazon Affiliate links. When you click on the link and make a purchase, I will receive a small commission for the referral at no extra cost to you! It’s a win-win! Some of my most treasured items are quilted, knitted, crocheted, or beaded by someone in my family or friend circle. These may take more time to create than you have at this point, but there are lots of options. Bonus: Sewing is a great way to upcycle old fabric. This is a great way to be loving to yourself, the planet, and your loved ones! Note: My son’s second Christmas I made him and my niece several plushy toys using pieces of old clothes, embroidery floss, and pillow stuffing. A coupon book of services or experiences to be redeemed at any time over the next year is a really fun way to give an object while also giving an experience. These can be as complex or as simple as you like (and are easy for any age!)! This is a great thing for a child to gift to an adult or vice versa! I love consumables because they don’t take up a ton of space for very long! Some examples are body scrubs, bath bombs, lip balm, cakes, muffins, and breads. These are opportunities to use locally sourced ingredients while sharing something personalized (Homemade bath products are NOT the same as store bought as far as the gifting is concerned! That said, artisan options can be really cool – like this and this.). A homemade kit or gift basket – this is half-way between homemade and purchased as it is assembled by you, but contains store-bought items (or not, depending on the theme). 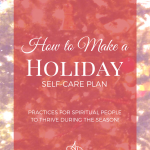 Themes could include self-care, calming, inspiration, edibles, decluttering, intention-setting, adventure, etc. 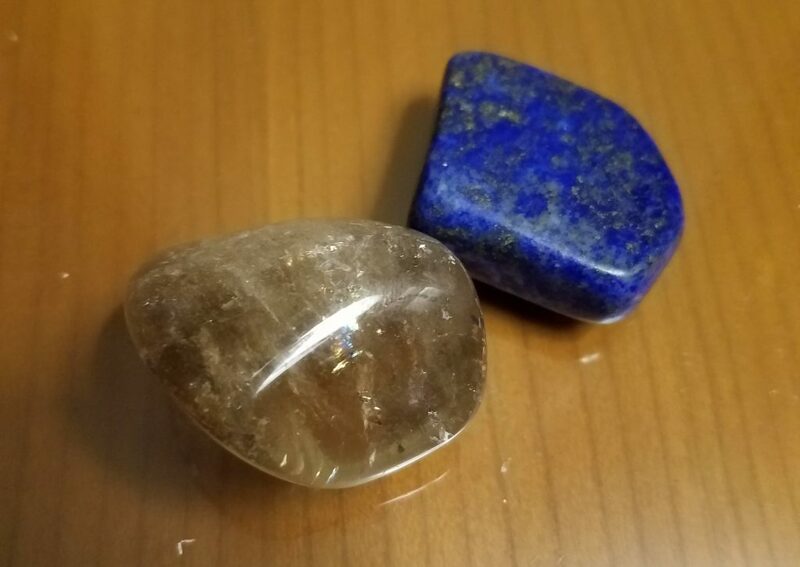 Crystals – always a good plan when you’re not sure what to get the spiritual person in your life. I think the absolute best options are amethyst, green aventurine, citrine, and rose quartz (or grab a chakra crystal set to uh, cover all your bases). Teas – SUCH a good plan! Consumable and honoring the intentional and spiritual lifestyle, you really can’t go wrong. Some favorites are kava kava, dandelion, and rose. A national parks pass – um… hello?! This is AMAZING! It’s a small thing, but for the outdoorsy woke person, this is a kingdom-wide key! Spa day – massage, reiki, acupuncture – any and all! You can’t go wrong with a spa experience! For children’s literature, pick up something from Rita Goldner or Naomi C. Rose. For YA readers check out Betsy Streeter, Debbie Manber Kupfer, or Patrick Hodges. For adult genre readers, check out Brooke Obie or Lisa Burnette. For fiction dealing with specific contemporary issues, pick up a book by Sharon Angelici, Casia Schreyer, Harriet Levin Millan, or Saadia Faruqi. For inspiring memoir, check out Cory Martin’s or mine! 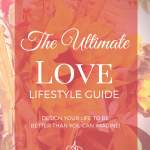 For personal growth, check out Camille DeAngelis, Reba Linker, or my journal guide! For spiritual growth, get a copy of my interfaith devotional! For guilt-free dessert recipes, check out Lauren Stewart! For someone wanting a coloring meditation, check out Sharon and Teresa Brown’s book! I LOVE journals. Love. Love. Love them. But more specifically, I love BULLET JOURNALS. That said, everyone isn’t ready to customize a bullet journal. BUT if someone in your life IS interested, find out more about them and some cool gifts to make it happen here. 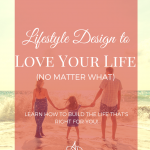 For a self-directed path to overcoming guilt, shame, doubt, and judgment, consider giving my Love Lifestyle Workbooks – they are self-directed workbooks that each focus on a specific building block of self-love. I recommend starting with Acceptance which you can find here. I am offering a LIMITED time option for a holiday intuitive reading for yourself or another at a special price! Please contact me directly to discuss gift certificate options. This is a RARE thing, so if you are at all interested secure your reading here and contact me about gift certificates and scheduling! If you live in the Santa Barbara area and a friend (or yourself!) is struggling with issues of self-doubt, judgment, grudges, relationship issues, or just can’t seem to get to the next level, consider gifting a Beachside Coaching Session! Contact me here to find out if this would be a good fit! Having problems with feeling good enough? Know someone who has been looking for the perfect breakthrough coaching experience but just wasn’t ready to commit to 1-on-1 or would prefer group coaching? Or maybe you need a gift YOURSELF? 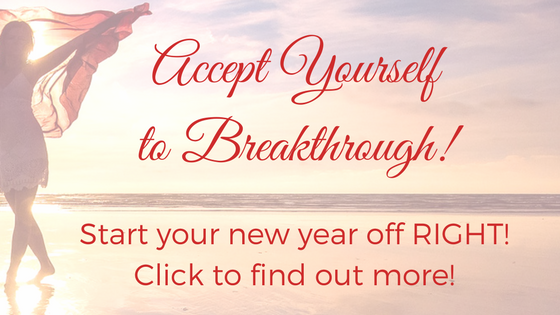 The 6 week Accept Yourself to Breakthrough Program is a GREAT plan (and they’ll start 2018 off right starting on January 1!)! Get a spot for yourself and a buddy to get a special bonus! Click here to claim a seat! For the person in your life who needs a mentor to bring about total transformation, balance, personal, and professional growth, consider gifting one of my one-on-one coaching experiences! 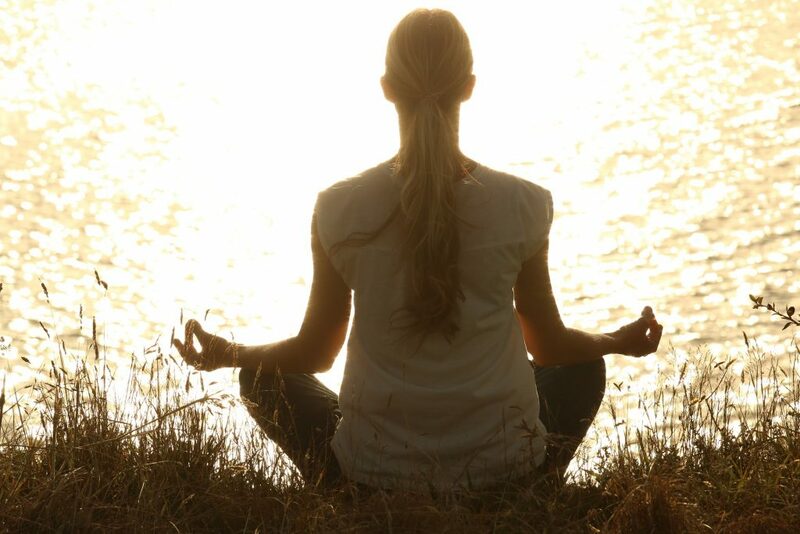 These experiences provide personalized suggestions as well as accountability! This is the fastest way to bring about transformation and really is an AMAZING gift (you can read what I did for one woman in a single hour here and another client’s story here!). Contact me here to determine fit and availability! Whatever you decide to gift, set the intention behind it for more joy, love, and peace in the lives of everyone around. Set the intention this will bring about the highest good. 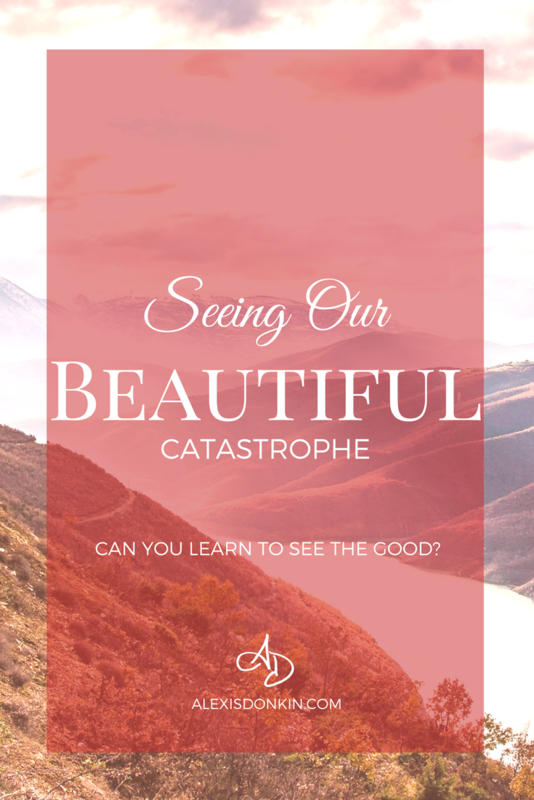 That doesn’t mean it needs to be an earth-shattering gift – just that it enriches. We want our gifts to make life more wonderful and be received with joy. Here’s to a wonderful, joy-filled gift-giving season! ← This will make my birthday happy.